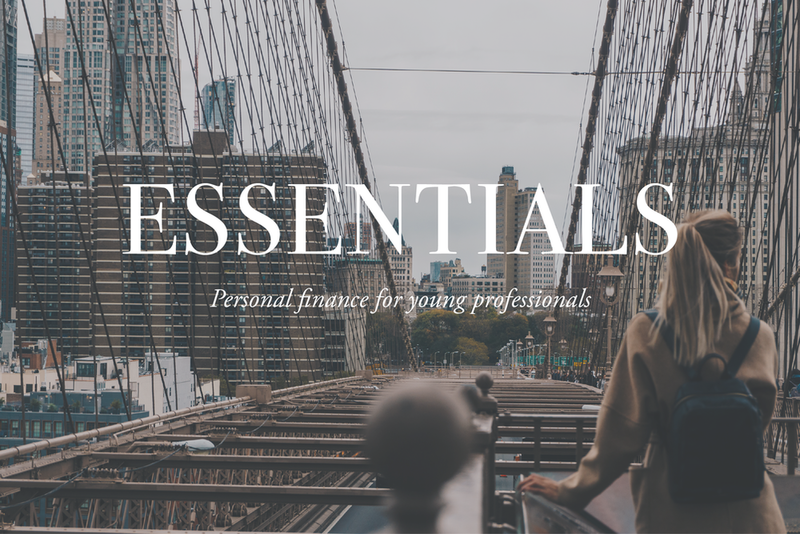 Ford Financial Solutions | Fee-Only Financial Planner | New York City — What's Your Money Motive? This article originally appeared in our monthly newsletter, Fiscal Therapy. Please subscribe if you'd like to receive similar articles on a monthly basis. Unless you’re Scrooge McDuck and enjoy swimming through piles of cash, money is not an end in itself. Instead, money is a means to something else. Your money allows you to purchase necessities and luxuries, to finance family vacations and evenings out with friends, to feel good about yourself (or even superior to others), and to have some security in an uncertain world. There is always an underlying reason why we value money and use it the way we do. Understanding those reasons—why you earn, save, and spend your money—is where wisely managing your finances starts. 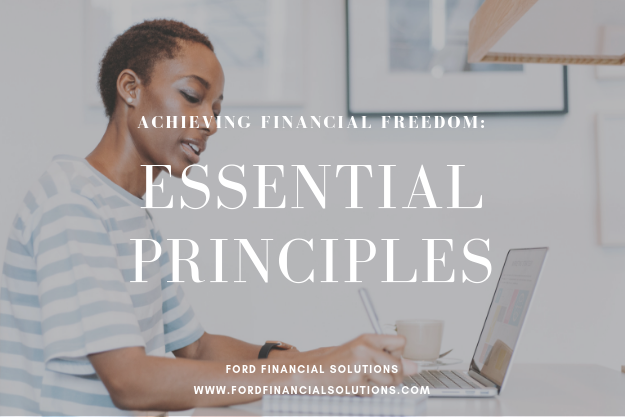 In helping hundreds of clients improve their relationship with money, I’ve come to believe that there are four primary desires at the root of why people value money, which I call money motives. 1) Influence: Money gives me the power to influence society and culture. I like to invest in businesses (or even start them) and give to causes in which I believe. It’s important to me to leave my mark on the world, and money helps me do that. If I had more money, I could achieve more in the world. 2) Relationship: Money gives me respect, dignity, and status in the eyes of others. Money is a sign to my family and friends that I’m a competent, self-reliant, and successful person, and I like spending money on people I care about. It’s important to me that my lifestyle reflect my profession and income. If I had more money, then others would respect and value me more. 3) Experience: Money allows me to enjoy life and have some freedom. I like spending money on things that make me comfortable and happy and avoid inconvenience. It’s important to me to experience all the world has to offer and to enjoy time with my family and friends. If I had more money, I could do and enjoy whatever I wanted. 4) Security: Money secures the future for me and my family and protects us from the uncertain. I like to save so that I’ll be okay if something bad happens. It’s important to me to responsibly use my money and to avoid risk. If I had more money, then I’d be able to sleep better at night. For most of us, one of these money motives holds particularly sway, and it becomes the driving force behind our thoughts, hopes, and fears surrounding money. Depending on your dominant money motive, you’ll have an easier time with some financial habits and a harder time with others. For example, if you are motivated by experience, you’ll have an easier time dropping $5k on a vacation. If you value influence, you’ll have an easier time leaving a steady job to start a business. If you are driven by relationship and status, you may have an easier time spending more to live in the right neighborhood. If you’re motivated by security, you’ll have an easier time eating in every night so you can build up that rainy day fund. Do you ever get the sneaking suspicion that your money is getting the better of you? We overspend on stuff without feeling satisfied, or we work and work for a good income we rarely get to truly enjoy, or we scrimp and save for that feeling of security that never comes. Where have we gone wrong? I’m not here to tell you the meaning of life (that’s in the Clients-Only section), but my own view is that money can and should be used for a wide array of good across the spectrum of motives listed above. Each of those motives can serve good and noble purposes in our lives and society, but when any motive becomes an all-consuming extreme, money starts to control us and warp our relationships with those around us. Take security, for example. I’m a big believer in financial security. I advise all my clients to maintain an emergency savings fund (typically covering 6 months of living expenses). I like to see some extra margin in my clients’ cash flow. A little security is essential to the financial (and emotional) wellbeing of any household. But, you can become obsessed with financial security, and all of a sudden prudence evolves into penny-pinching and even paranoia. You’re not happy unless you feel fully secure, and no one is 100% secure. Your money is now controlling you. Do you know what drives you to earn, save, and spend money? Here are some questions to ask yourself as you think through what drives your money decisions. What do you most freely spend your money on? Did you give away any money over the last year? Why or why not? If you received a $10k windfall, how would you use it? If you’re having a hard time identifying your dominant money motive, think about both your strengths and weaknesses when it comes to money. Are you good at earning? Do you struggle to save? Why is that so? Remember, no money motive is inherently good or bad, and any of them can become an extreme that twists us. Learn to appreciate the root desire that powers your strengths but don’t turn a blind eye to how this can it can get out of hand and start to control your life. Understanding your money motive can be eye-opening and powerful for couples. Seek to understand what is at the root of your partner’s best and worst money decisions and you may find yourself with more empathy. By identifying both your motives and those of your partner, you can better understand why and when you conflict around money or where you might be so similar that together you are blind to an area where money is controlling your lives more than you realize. On a final note, family and culture have a huge impact on our relationship with money. Most likely your money motives have been shaped by the attitudes and habits around money you experienced growing up, inside your home and from your culture. Consider these influences. How have they shaped you? Where was the message edifying and where is there a need to reshape foundational thoughts you’ve held about money for years? If you identify your money motives, you’ll be better equipped to identify areas of fixation and to better control your money (instead of the other way around). And on the flipside, think about which money motives you might be undervaluing. How can these aspects of money which are less natural for you bring about good in your life and for those around you? This is a must-read exploration of what ails today’s 20 and 30 year olds — namely, millennials have internalized the mantra of non-stop work as the path to success and fulfillment, but the sobering reality of today’s harshly efficient socio-economic landscape has left them financially insecure and burned out. Why can’t I get this mundane stuff done? Because I’m burned out. Why am I burned out? Because I’ve internalized the idea that I should be working all the time. Why have I internalized that idea? Because everything and everyone in my life has reinforced it — explicitly and implicitly — since I was young. Life has always been hard, but many millennials are unequipped to deal with the particular ways in which it’s become hard for us…. Financially speaking, most of us lag far behind where our parents were when they were our age. We have far less saved, far less equity, far less stability, and far, far more student debt. The “greatest generation” had the Depression and the GI Bill; boomers had the golden age of capitalism; Gen-X had deregulation and trickle-down economics. And millennials? We’ve got venture capital, but we’ve also got the 2008 financial crisis, the decline of the middle class and the rise of the 1%, and the steady decay of unions and stable, full-time employment. If you’re ready for financial guidance, accountability, and an action plan, check out our one-on-one services or online courses.